Free standing tensioned 173" diagonal HDTV format screen with 16:10 aspect. Front and rear screen surfaces available. Shown with optional dress kit. 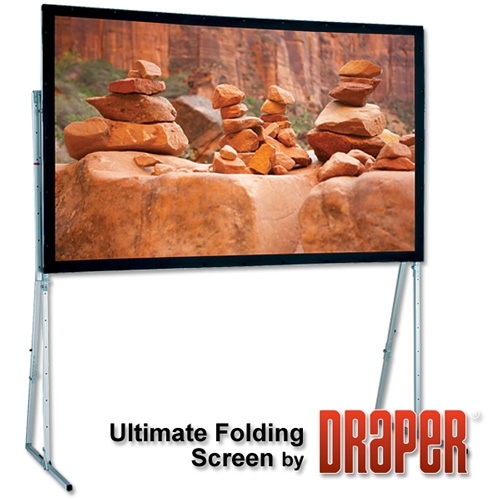 Draper's Ultimate Folding Screen is the standard for portable folding screens. 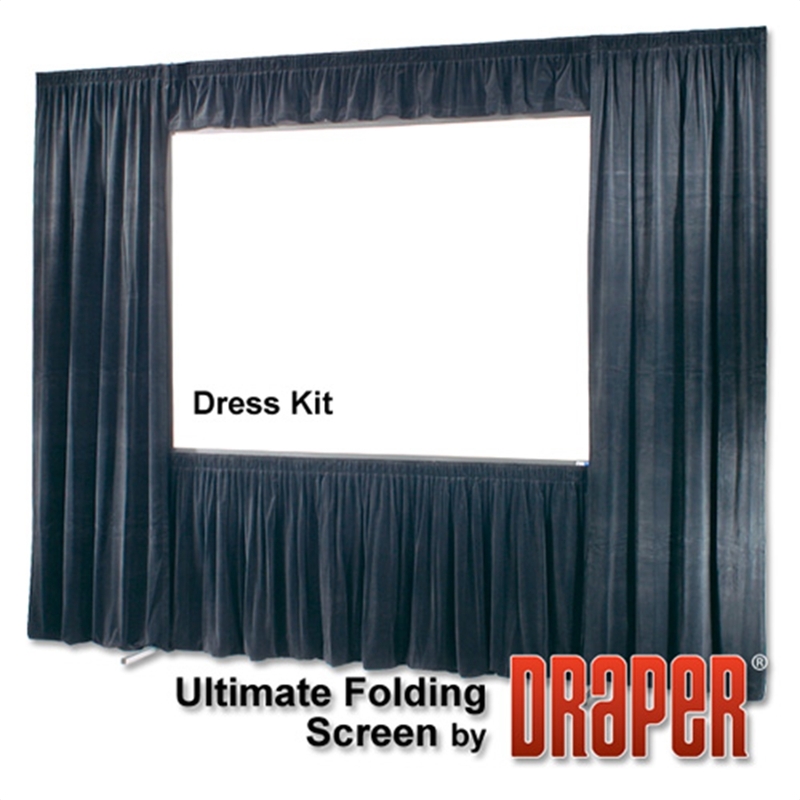 The Ultimate Folding Screen is the first screen manufactured with 100% CNC (Computer Numerical Controlled) components and assembly. The tubing is CNC machined; surfaces and borders are CNC cut; even rivet and snap holes are CNC placed. No competitive product meets this standard—and we did not stop there. Our Lock & Load latch is designed for ease of operation and maximum life. Lock & Load latches bite down when the surface is attached, making the frame extremely rigid. The resilient latch retention spring is captured and constantly flexed so that it cannot be dislodged. These advancements translate into the most user friendly and incredibly durable hinge locking mechanism available. 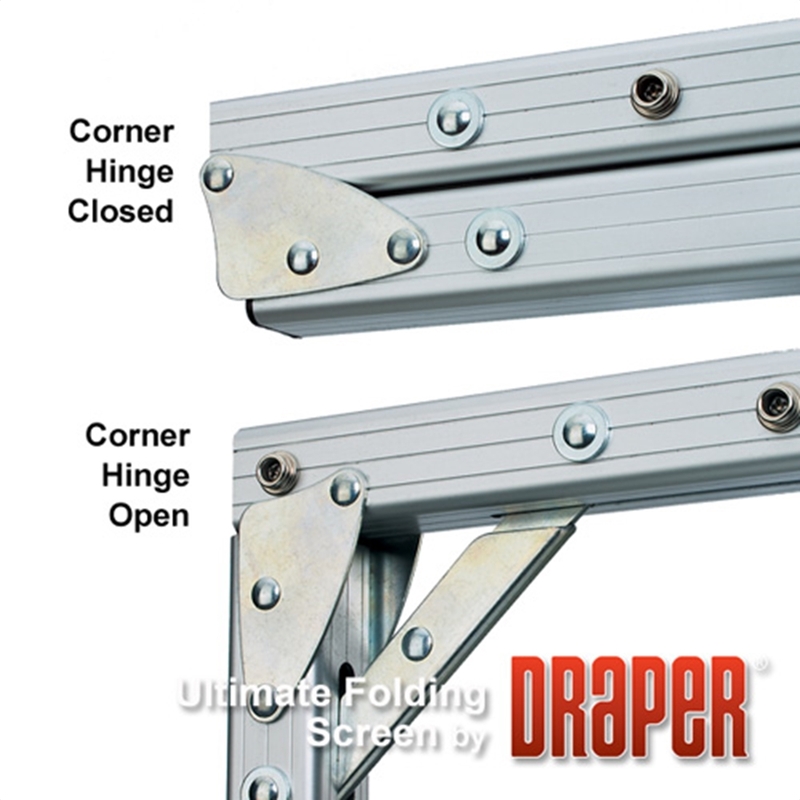 Couple these advantages with clear anodized 1.25" x .070" wall aluminum tubing and you’ve got the precision and stability that allows Draper to offer the Ultimate Folding Screen in sizes through 16' (488cm) in width. The perfect matt white diffusing surface. Recommended for use with all types of projectors provided ambient light can be reasonably controlled. Reflects a uniformly bright image over complete 180° viewing cone with precise resolution and accurate color balance. This surface was previously named "M1300." This surface is GREENGUARD Children and SchoolsSM certified. Available with black backing and without. This material does NOT reach half gain.